In the wave of discussions on Maersk entering the ship recycling sector in Alang, Maersk has faced criticism for its handling of two independent cases related to ship recycling. One related to the FPSO North Sea Producer that was sent by its new owner to a ship recycling yard in Bangladesh, despite Maersk stipulating in the contract that the production unit, at the end of its lifetime, was to be recycled according to the Hong Kong Convention. The other case relates to 14 chartered-in Starflotte ships whose contracts Maersk wanted to end ahead of time in 2014. In the final agreement with the owner, Maersk incentivised recycling at the best price, which effectively means recycling at sub-standard yards, which is what the owner chose to do when the vessels were returned. In 2009, the Group introduced a responsible recycling policy and expressed its support for the Hong Kong Convention. Procedures were further tightened in September 2016, in order to minimise the financial incentive for buyers to recycle irresponsibly. "In 2009 the Group introduced a responsible recycling policy and expressed its support for the Hong Kong Convention. Since then, the Group has been waiting unsuccessfully for seven years for a global agreement on ship recycling. Despite having invested great efforts in the attempts to achieve a universal ratification of the UN’s Hong Kong Convention, which sets global minimum standards within safety and environment, the Group is still waiting." The new contract terms are based on the value of the vessel at the time of sale. If the value is low (less than 25% of the highest recycling price), Maersk will not divest but will recycle the vessel according to its standards. If the value is higher (25-40% above the highest recycling price), the new owner will be required to operate the vessel for a further two years or to recycle in accordance with Maersk’s standards. When the vessel has been operating on behalf of others beyond a period of 24 months, Maersk can no longer take on this extended responsibility. • The FPSO North Sea Producer operated in the UK North Sea from 1997–2015 and was owned by the North Sea Production Company Limited (NSPC), an independent British company owned 50/50 by Maersk and Odebrecht, a Brazilian company. • Following contract termination, the North Sea Producer was sold and transferred to a buyer in April 2016 on an “as is, where is” basis, whereby the buyer took over operational and legal responsibility for the unit. • In August 2016, Maersk was made aware of the fact that the North Sea Producer had been sent to a recycling yard in Bangladesh, where conditions do not meet the requirements of the Hong Kong Convention. Maersk had contractually bound the buyer to the Hong Kong Convention but the buyer chose to violate the contract. • An internal legal study has concluded that neither Maersk nor NSPC can prevent the recycling from taking place or impose a financial legal claim against the buyer. • The Maersk Group has subsequently broken all commercial relations with the buyer. 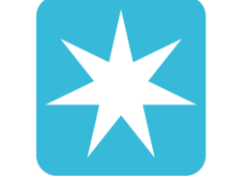 • In 2005, Maersk acquired P&O Nedlloyd and with this company, a chartering agreement relating to 14 container ships, called Starflotte. • Maersk later estimated that the ships did not meet its requirements for the remaining contract period and negotiated an agreement with the owners regarding the termination of the rental agreement and recycling of the ships, in return for compensation. • The steel price the owner could obtain for recycling the vessels was included in the calculation of the commercial transactions between Maersk and the ships’ owner at the termination of the agreement.